NORTH VANCOUVER, B.C. 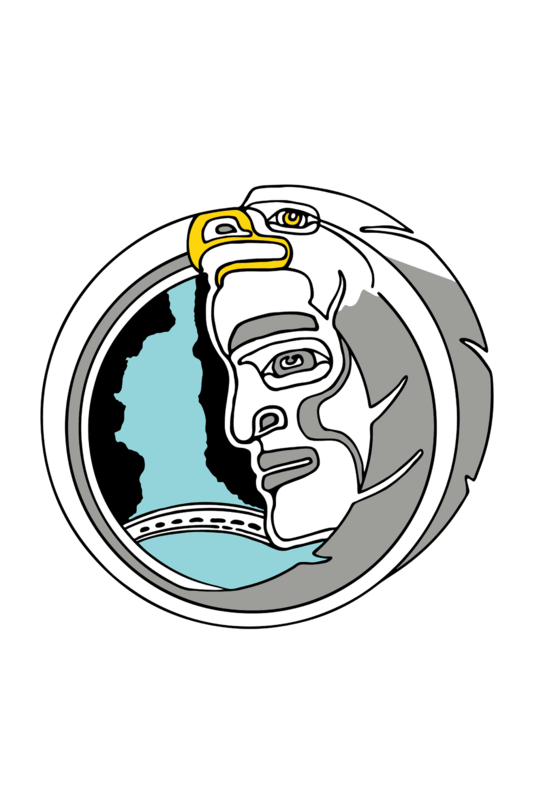 and COAST SALISH TERRITORY; May 2, 2014 â€“ Today, theÂ Tsleil-Waututh Nation, the â€œPeople of the Inletâ€, is launching a legal challenge of the NationalÂ Energy Boardâ€™s (NEB) review of the Kinder Morgan Trans Mountain pipeline and tanker project.Â The Nation says that serious legal errors made by the federal Crown and NEB have led to aÂ flawed and unlawful review process that puts Burrard Inlet and all peoples who live here at risk. The following article was written by Simon Donner, Kathryn Harrison and George HobergÂ and published in the National Post on April 10th, 2014. The original article can be accessed here. From the Vancouver Observer, posted Thursday February 27, 2014. Written by Erin Flegg. In what some call a preemptive strike, Kinder Morgan’s legal counsel sent a letter suggesting that some experts and community members who signed up as intervenors for Trans Mountain pipeline hearings may be considered ineligible. From the Globe and Mail, posted Thursday February 13, 2014. Written by Mark Hume. 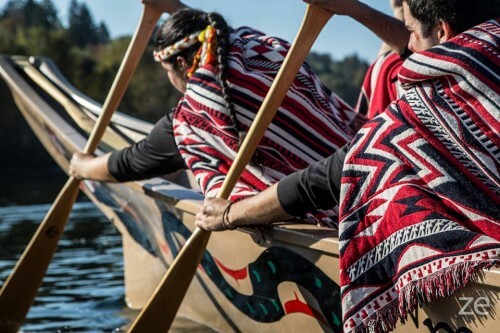 More than 40 First Nations â€“ including four from Washington State â€“ have applied to participate in National Energy Board hearings into Kinder Morgan’s proposed twinning of the Trans Mountain pipeline. SEATTLE, WAÂ andÂ VANCOUVER, BC, COAST SALISH TERRITORIES,Â Feb. 13, 2014Â /CNW/ – Opposition to Kinder Morgan’s TransMountain proposed pipeline project ramped up today as Coast Salish peoples on both sides of the U.S.-Canadian border vowed to oppose the project as intervenors beforeÂ Canada’sÂ National Energy Board (NEB). 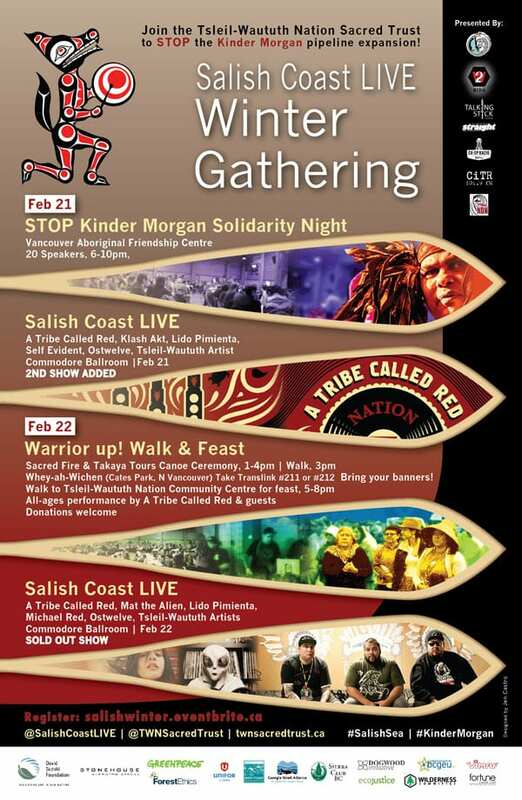 Hosted by the Tsleil-Waututh Nation Sacred Trust, the two-day Salish Coast LIVE Winter Gathering brings together Indigenous and non-Indigenous people to learn about the issues and understand the threats to the Tsleil-Waututh Nationâ€™s Territory and culture. NORTH VANCOUVER, and COAST SALISH TERRITORY, BC,Â Dec. 17, 2013Â /CNW/ – In response to yesterday’s announcement thatÂ Kinder MorganÂ has filed a formal application with the National Energy Board (NEB), Tsleil-Waututh Nation is denouncing the pipeline review process. The Nation says the NEB review is fundamentally flawed because it is incapable of meeting the Crown’s constitutional obligations to Tsleil-Waututh and other First Nations. North Vancouver, B.C. Coast Salish Territory: September 29, 2013 â€“ Tsleil-Waututh Nation unveils a gift from master carver Jewell James of the Lummi Tribe.Â Â This unique Totem will stand tall in the Tsleil-Waututh community as a permanent symbol of solidarity among Coast Salish Nations opposing destructive fossil fuel projects like Kinder Morganâ€™s project to twin the already existing pipeline that runs from Albertaâ€™s tar sands to Burnabyâ€™s Westridge Terminal which will increase oil tanker traffic along the West Coast.